Pouring sugar…on plants? What kind of madness is this? Not madness at all! Plants need sugar for carbohydrate transport, energy, and stored fuel. Carbohydrates in the form of simple sugars, like glucose, are converted to complex sugars by means of starches. When this conversion process occurs in plants, better growth + development, improved regulation of various biological systems, as well as respiration & transpiration steps can occur. Graphic 1 (below) shows the process of photosynthesis. 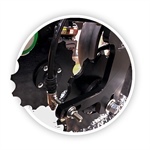 Clayton Stufflebeam, CIL PFR Location Lead is joined by Paul Harms of Precision Planting in this PFR Report to discuss the new SmartDepth product. 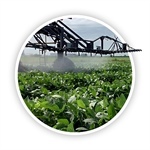 Is there an "easy button" when it comes to weed control? Check out this PFR report featuring PFR Operator and Herbicide Specialist, Joe Bolte, and University of Missouri Extension Weed Scientist, Dr. Kevin Bradley as they discuss the importance of in-season residual herbicides. PFR Operator and Herbicide Specialist, Joe Bolte, discusses the over-reliance of Group 14 and 15 herbicides with Dr. Kevin Bradley in this latest PFR Report. Beck’s greenhouses in Atlanta, Indiana, are a bit of a local landmark. On cloudy mornings, especially during a fog, the gleam can be seen for miles. The ten greenhouses are integral to Beck’s trait integration program, ensuring that we release the latest trait technology concurrently with the best genetics. 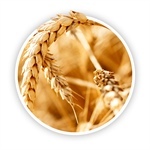 Several months ago, I wrote about the importance of developing your grain marketing plan. That plan should help you understand your cost of production and determine a breakeven price at average or crop insurance (APH) yields. You should be thinking about the price where you are willing to begin selling your new crop. I have targets in mind for my plan and will be watching for opportunities to price during the “too season” — too wet, too dry, too hot. The "too season" is the best opportunity in the spring/summer market. CropTalk: No Fall Nitrogen? No Problem. In the February issue of CropTalk, we discussed different methods to apply anhydrous in front of planting to minimize seedling injury. Having said that, there is no guarantee that this spring will be a smooth planting season. So, what should you do if you have a tight planting window this spring? The fall of 2018 brought many challenges to the region, making it difficult for fall anhydrous applications or a fall burndown. The February issue of CropTalk had the first part of this series. We hope to give you insight on options for spring management if you did not finish your traditional fall fieldwork. The first article, available on the Beck's website, focused on considerations for applying spring anhydrous. This article will focus on how to maximize the efficacy of a spring burndown. Today, let’s talk soybean replant and discuss best practices for making replant decisions. No matter how much time and effort is put into planning, Mother Nature seems to have plans of her own, and she trumps all. 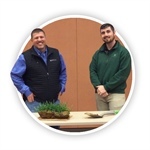 Join Chris Robinson, PFR Location Lead, and Field Agronomist and Herbicide Specialist, Austin Scott, in this PFR Report as they discuss different ways to add profitability to your wheat crop. For this PFR Report, Clayton Stufflebeam, PFR Location Lead, caught up with Steve Martin of Martin-Till at the National Farm Machinery Show to talk about the Dual-UMO 2x2x2 system. 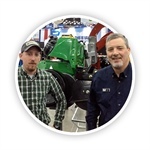 For this PFR Report, Clayton Stufflebeam, PFR Location Lead, caught up with Jeff Wherley with Yetter Manufacturing at the National Farm Machinery Show to talk about starter fertilizer coulters , specifically Yetter's Dual 2968 Series 2x2x2 coulters . What’s New in the World of Wheat? When it comes to winter wheat production in the Midwest, sometimes get “stuck in rut” with our yields. Unlike corn and soybeans, wheat management is often put on the backburner in both time and investment into our crop. However, at Beck’s Southern Illinois PFR site, the winter wheat followed by soybean double crop system has produced some of our largest returns on investment over the last several years. So, the question arises, will this trend continue? Tucked away on a country road in Greensburg, Indiana, is a family farm that has been pushing the envelope on soil health since the 1980s. The farm is home to a father and son who not only have worked to improve their own farm with innovative strategies, but have shared their knowledge and discoveries with their community and beyond. Constant change has been the primary theme in the world of soybeans over the past few seasons. This is especially true when we focus on weed management solutions through soybean trait options. 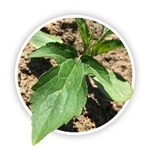 Only a few seasons ago, many customers were using LibertyLink® soybean products like 264L4, 366L4, and 494L4 as a ‘new’ solution to glyphosate-resistant weeds that were becoming an issue in the midsouth portions of Beck’s marketing area. One of the most frequently asked questions about corn products is, “What population is optimal to maximize yield?” The answer can be estimated by considering a combination of management variables, productivity level, and each hybrid’s response to population. Beck's product, PFR, FARMserver®, agronomy and seed advisor teams are all focused on evaluating and recommending the best population by hybrid combination for your farming operation. Here at Beck's, we believe we are more than just a seed company. We realize our success is not possible without your success first. While we only sell seed, we want to help in any way that helps each of you be more successful. Making crop input decisions can be difficult and, at times, very confusing. Many products claim to provide similar results, but which one addresses your specific needs? That’s where we'd like to help. Planter performance is one of the most critical components to the establishment and success of your crop. We’ve asked our PFR teams to give their insight on planter performance and share valuable ideas as you begin to prepare your planters for 2019. Many farm operations have a soil fertility testing program every 3 to 4 years. Whether you do your own soil sampling or hire a trusted professional, the soil test report can often appear as a complex dataset. A standard soil test report will usually provide values such as pH, percent organic matter (OM), phosphorus, and potassium; however, other data can be extremely valuable for a better understanding of the soil’s ability to hold and supply nutrients, as well as the soil fertility balance. See Figure 1 for an example of a complete soil test report.